IPCW LED light bars have everything you crave in a truck light bar. Super bright LED's, multiple functions, ease of use and simple mounting make IPCW's tailgate bar an excellent addition to any truck. IPCW builds the tailgate light bars for superior performance and visibility. LED lights draw very little power but are brighter than standard halogen lights. The brighter lights improve visibility for vehicles coming up behind you, enhancing overall safety. 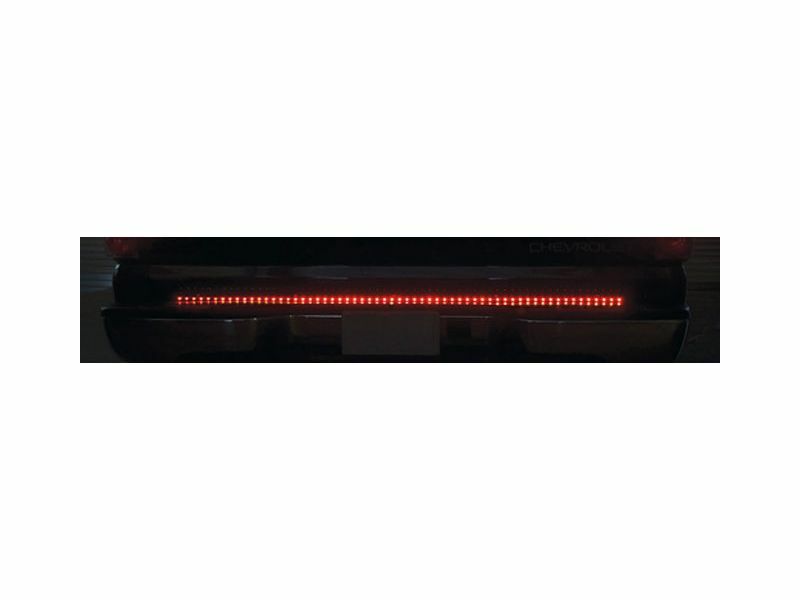 The LED tailgate light bar has functions for brake lights, running lights, left and right turn signal lights and the option for reverse lights. All the needed functions to brighten your day! Once you have the LED light bar mounted and connected you never need to worry about it again. The light bar plugs directly into your 4 pin trailer harness and uses 3M automotive tape to place under the tailgate and away you go. Brighten the rear of your truck today with an IPCW LED tailgate light bar! IPCW offers a 1 year warranty on the LED tailgate light bar and protects you against defects in manufacturing and poor workmanship. IPCW LED tailgate light bars have a no drill at home installation. The included installation instructions are clear cut and easy to read. If you have any other questions please call us at 1-866-309-1907 or 701-253-5906.